It was an amazing and unforgettable weekend full of first times. I got to experience many different and incredible things, starting from the moment landed at Las Vegas Airport until the time I left our hotel. I enjoyed every second of it, met wonderful people, spent time with contestants from other countries and built up friendships. The event was perfect, as well as the team in Vegas; their hospitality was great from all aspects. I would like to thank each one of them. I experienced a very nice good-bye. I had said farewell to my friends before I left my house. To be honest, I didn’t expect anyone to show up at the airport. All of a sudden I heard sounds of cheers and whistles behind my back when I was at the passport control. 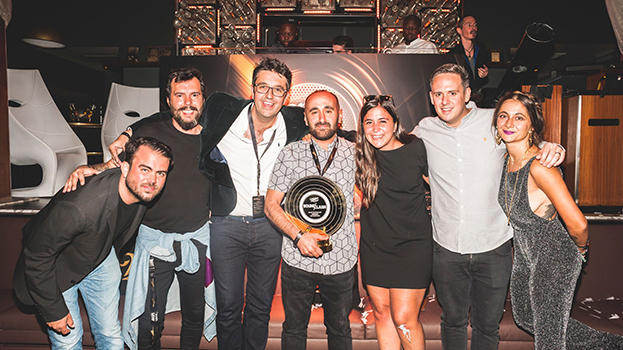 I turned around and saw İlker Aksungar –who has been my mentor for becoming a DJ- and my friends who came to say good-bye with banners in their hands. This surprise made me very happy and I took off in a very motivated state. I trusted myself and my set. I think I performed a very different sound. While I was playing my tracks, I saw people started to move and dance. I believe I reflected my energy to the audience. The reaction I received when I finished playing was even better than the one I received when I was playing. Everyone I ran into, told me they were fond of my set and they would vote for me if they could. I was very excited. I think I was able to incorporate my excitement with my music and pass my energy to the audience. In Las Vegas, the capital of EDM, I took a huge risk by playing a set emphasizing on tech house. In the end, I received very positive feedback. I think my style and sound are what made me different than the rest of the finalists; and what made me stand out. One of the reasons I participated in Miller SoundClash was the chance to perform at Marquee Dayclub. If it wasn’t for SoundClash, it would be just a dream for me. In these last four days I got to experience many different things I could not have had a chance to without Miller SoundClash. I had a chance to observe many things and listen to very important people. I watched the gestures of DJs from other countries, and their communication with the audience during their sets. I will analyze the reactions I got during my own set to define a style for myself. Thanks to the upcoming record contract I will sign with AfterCluv Dancelab, I can draw a path for my career under a professional touch; I think I will arrive at good points both in musical and personal terms. I want to perform in my own style, to express myself in the best way that I can after the experiences I have been through; giving a direction to my music upon the feedback I receive. I want to contribute by making tracks in this way. 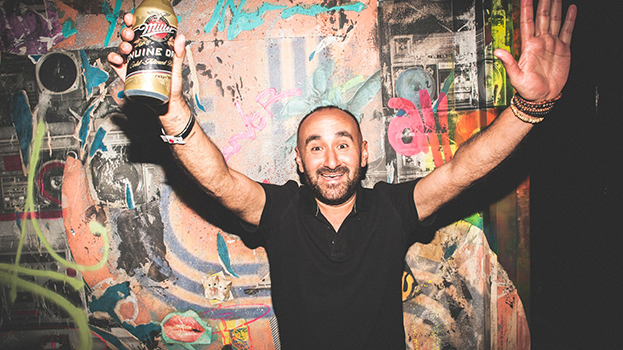 From the very beginning till the end, the Miller SoundClash weekend was full of memories for me. My favorite moment was the announcement of my championship of course. Even if you ask someone else, I guess the answer will be the same.